The worst of the incidents took place on lap four when the red flag unfurled for a vicious series of flips by Kasey Kahne as he was exiting the fourth corner. Kahne’s mount flipped down across the speedway and although the former NASCAR star climbed from the car on his own power and walked to the ambulance, emergency crews were reviewing him as a precaution. 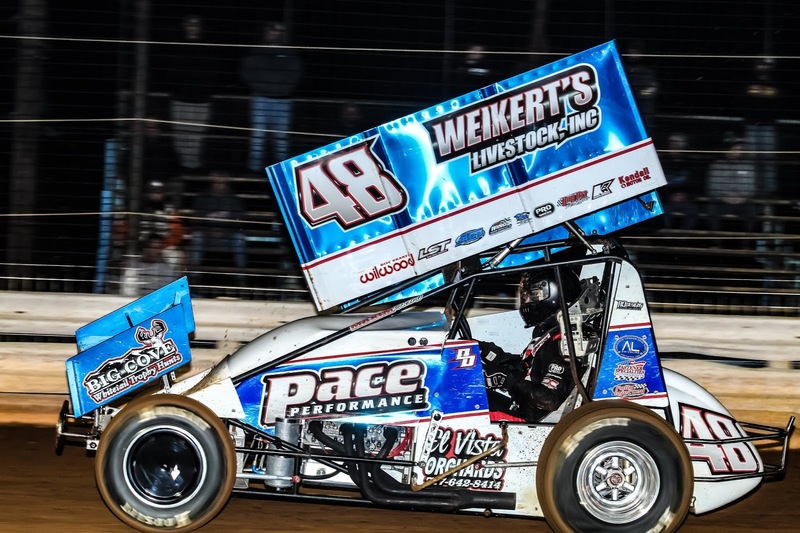 The restart saw a tense battle unfold for third between Cory Haas and Lance Dewease with the pair see-sawing back and forth for the spot for four consecutive laps with Haas eventually coming out on top. Just as traffic came into play for Dietrich, a yellow flag unfurled for a stopped Rodney Westhafer with 10 laps away. Haas and Dewease again did battle on the restart as Dietrich got away and again entered traffic, this time with 17 laps recorded. With five laps to go, Dietrich had a straightaway lead over Buckwalter and was pulling away as Dewease withdrew from the event with just two laps to go. Dietrich scored the victory by 4.677 seconds ahead of Buckwalter, Haas, Brock Zearfoss and Brian Montieth. Sixth through 10th went to TJ Stutts, Ryan Smith, Anthony Macri, Kyle Moody and Lucas Wolfe. Heats went to Haas, Zearfoss and Dale Blaney. The 30 lap ULMS super late model main saw Mason Zeigler take the lead from the second starting spot when action began but only two laps could be completed before the first caution period. Polesitter Jeff Rine restarted second but the pace was again slowed a lap later when a challenging Jason Covert lost the handle in the third turn and went to the rear for a restart. Ziegler hit traffic with 10 laps scored chased by Rine and sixth starter Rick Eckert as Covert was putting on a show from the rear. The York Haven driver marched through the field, hooking the cushion in the turns to blast around cars at will. By the time the field was bunched for a caution flag with 13 laps to go, Covert was all the way back up to fifth. Eckert muscled by Rine on the restart and set his sights on Ziegler but another caution a lap later gave him a clear shot at the leader. Covert continued his show, blasting into third on the restart but in the meantime Eckert was working on Ziegler, eventually snaring the lead with seven laps to go as Ziegler began slipping. After getting control, Eckert poured on the speed to open up a gap over Ziegler but a final caution set up Covert for a run at the win after going to the rear on the third lap. Covert had taken second from Ziegler on lap 24 and tried his best to work around Eckert over the final four circuits but Eckert proved up to the task by the slimmest of margins, .170 seconds. Covert was second followed by Ziegler, Justin Weaver and Rine. Sixth through 10th went to Max Blair, Kyle Lee, Gary Stuhler, Gene Knaub and Andy Haus. Heats went to Eckert, Rine and Michael Norris. Ziegler set quick time with a lap of 19.238 seconds.